By now, you’ve probably heard about variable speed compressors. Representing the latest in residential air conditioning technology, a variable speed compressor is a gigantic leap forward for achieving optimal efficiency and comfort indoors. And if you’re wondering about the primary difference between variable speed, two stage, and “traditional,” single stage air conditioning, here’s the simple answer: Variable speed is the best. Hands down. But you weren’t looking for the simple answer, were you? Most American homes with central air conditioning use a single stage compressor. These compressors were standard for decades, and they continue to represent the majority of AC units we service in the Atlanta area. A single stage compressor turns on when indoor temperatures exceed the temperature setting on your thermostat. For example, if you set the thermostat to 75 degrees, the air conditioner will run anytime indoor temperatures hit 76 degrees. After the AC cools the house back to 75 degrees, it will turn off again. Single stage compressors always operate at 100% capacity. They turn themselves on and off continuously throughout the day. Variable speed compressors work differently. In order to maintain an indoor temperature that matches the setting on your thermostat, they operate continuously at less than 100% capacity – often as low as 25% or 30% capacity. As a result, they run for much longer cycles than single stage AC units. In summertime, they might run for all or most of the day! Single stage compressors blast your home with cold air and turn themselves off when when the desired temperature is reached. Variable speed compressors blow a smooth, steady stream of cold air into your home to maintain the desired indoor temperature, rarely turning themselves off. What about a two stage compressor? Good question! A two stage or dual stage compressor sits somewhere between single stage and variable speed systems in terms of how it functions. While it doesn’t operate at a wide range of capacities like a variable speed unit, it does vary its output somewhat. A single stage AC offers one level: high. A two stage AC offers two levels: high and low. It runs at full capacity when you need it to and at a lower level when you don’t. Two stage units don’t run as continuously as a variable speed AC, but they do cycle on and off less frequently than single stage systems. For one thing, a variable speed compressor’s longer run times dehumidify your home more effectively than the relatively brief cycles of a single stage unit. One of the biggest problems with single stage compressors is that they’re not running continuously. Relative humidity increases whenever the AC isn’t on, making you feel hotter and more uncomfortable. This is especially acute when an air conditioner is oversized, as they often are. Most people deal with this problem by lowering the temperature on their thermostat, which brings us to the other benefit of variable speed compressors: cost. Since single stage compressors tend to short cycle, they usually draw a lot more electricity than a variable speed unit that turns on and stays on for hours. As a result, the single stage AC is much more expensive to operate! Single stage air conditioners don’t dehumidify indoor air very well, forcing you to lower the temperature setting on your thermostat. They also turn on and off a lot, which increases your energy bill. Two stage compressors don’t turn on and off nearly as much. They’re more efficient than single stage units, but not as efficient as variable speed compressors. Variable speed air conditioners run continuously, effectively dehumidifying the air inside your home. As a result, you feel comfortable at higher temperatures and don’t have to set your thermostat to a low temperature. 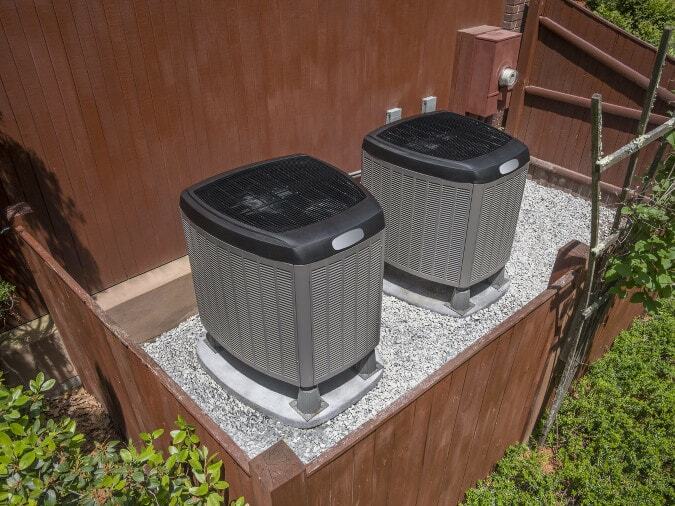 And since they don’t turn on as often, variable speed AC units lower your utility costs. There are fringe benefits, too. Believe it or not, more effective cooling and greater efficiency aren’t the only benefits of a variable speed compressor. And since variable speed units run more frequently, they also filter your indoor air more effectively. More air is cycled through your return ducts – and your air filters – resulting in a lower volume of air contaminants. They’re also quieter than single stage compressors. If you’re used to cool air exploding into your home like a sudden gust of wind, you’ll probably be surprised by the variable speed unit’s more subdued, consistent air flow. Should you upgrade your air conditioner? Variable speed and two stage compressors, like most energy efficient HVAC equipment, have a higher purchase price than single stage units. Not everyone should upgrade to a variable speed compressor, even though they’re awesome. Variable speed compressors cost more because they provide an objectively better air conditioning experience. When weighing your options for new equipment, you’ll have to consider whether upgrading to a variable speed unit aligns with your budget. If it’s time to upgrade an aging AC, variable speed is the way to go. Already planning to replace an existing air conditioner? Assuming your budget accommodates a variable speed unit, you should definitely get one! You’ll feel more comfortable throughout the summer months, and your indoor air will be whole lot cleaner. At the very least, consider a two stage compressor for improved comfort and efficiency. If your single stage air conditioner isn’t old enough to justify replacement, consider a whole house dehumidifier. By installing dehumidification equipment inside an existing single stage system, you can enjoy some of the benefits of a variable speed compressor without replacing any equipment. The dehumidifier will keep your relative humidity at a comfortable level, improving indoor air quality and enabling greater comfort at higher temperatures. If it’s time to replace your AC and you love your single stage unit, stick with what you know. Replacing an old 8 SEER single stage AC with a new 14 SEER single stage AC still results in a more efficient system. If your relative humidity is consistently below 55 percent and you don’t suffer from poor indoor air quality, you might not need a variable speed unit. The choice is yours! What’s great is that there are so many options these days for optimizing indoor comfort and HVAC efficiency. A decade or so ago, AC choices were limited to several extremely similar single stage compressors, all of which provided lousy efficiency by modern standards. Nowadays, you can look beyond “keeping cool” and improve many aspects of home comfort, all through your choice of air conditioning equipment. Variable speed technology is a big reason why.